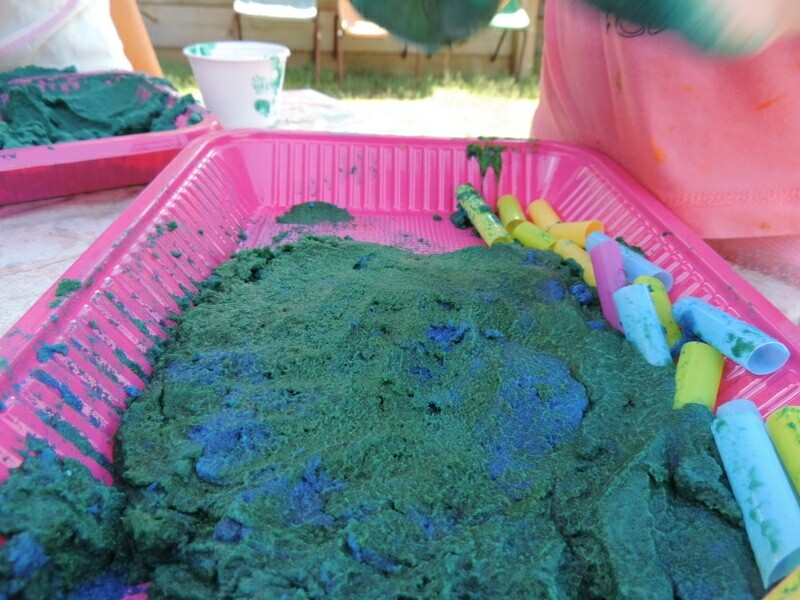 I love providing sensory play activities and experiences for my girls and the home daycare children. I truly believe it is one of the best forms of play that educators and parents can offer young children. 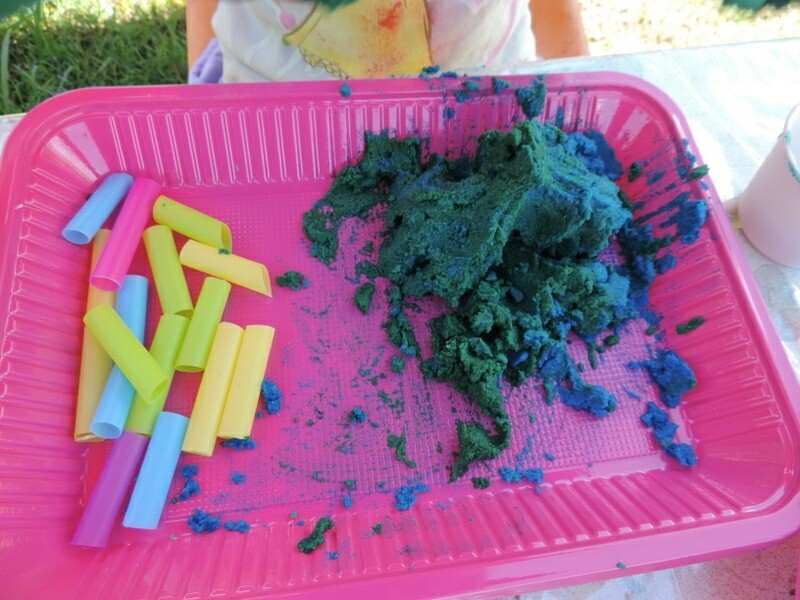 I also believe being exposed to messy and/or sensory play is a big reason why my Ruby has overcome many of her sensory processing difficulties. She has been exposed to many different textures, smells and play experiences since she was a baby and I’ve seen how it has worked to desensitize her fear in many areas. 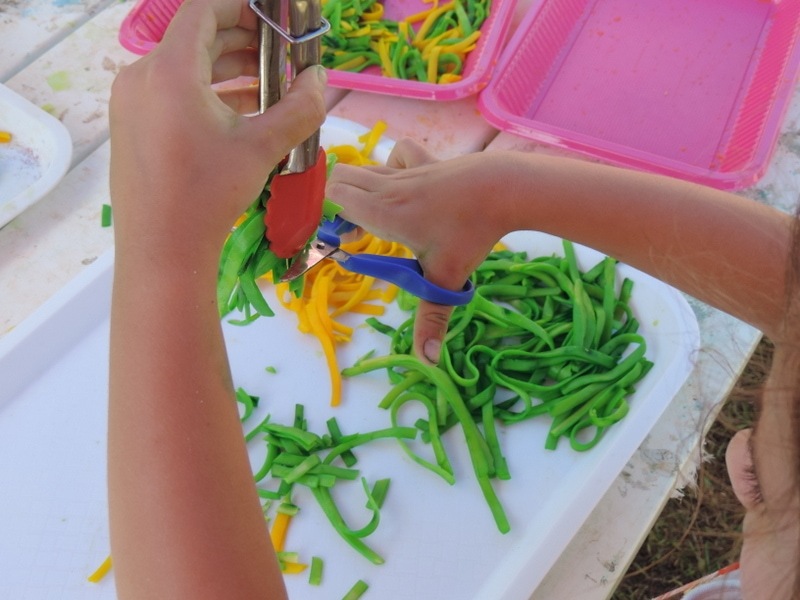 Many children are not being exposed to sensory play today and I think that is why we are seeing an increase in children with sensory processing disorders (SPD). 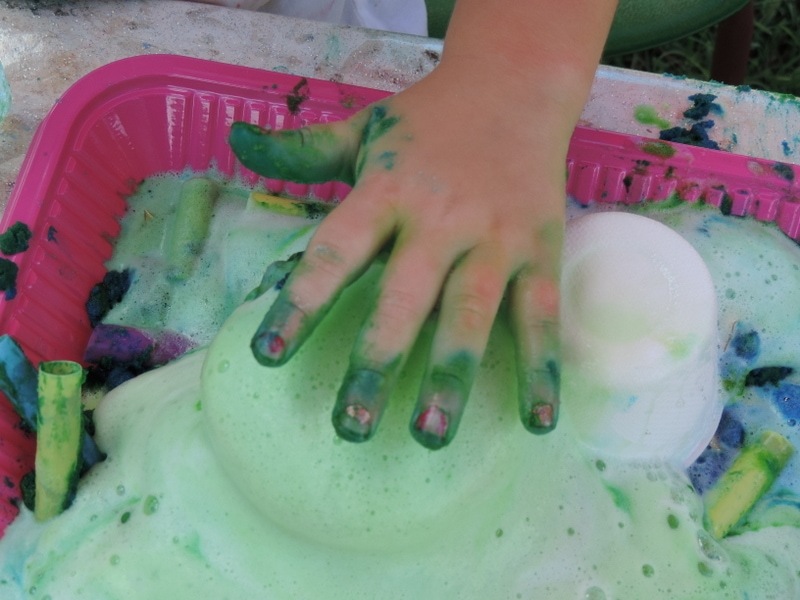 Some children are sensory seekers and crave the excitement and touch of messy play and may try to get this need met using other means if they are not exposed to fun sensory experiences and opportunities regularly. Other children can be very sensitive to sensory or messy play experiences and that is why it is so important to start introducing them to this play as early as possible (I started messy play experiences before my twins were even 12 months old) The first time my Ruby (now 4.5) touched sand she gagged and vomited, now she will spend all day in the sandpit, she would never eat spaghetti until we did spaghetti painting, she wouldn’t paint with anything other than a brush yet now her favourite activity is fingerpainting. The first time she touched the dry rice in the small world tub she screamed and shook rice off her hands in every direction as she ran away – now she scoops up the rice with her hands to feed the farm animals while she plays and when I first offered slime for her to feel she touched it with one outstretched shaking finger and looked at me with such fear in her eyes I wondered whether we would ever overcome this one, but guess what? 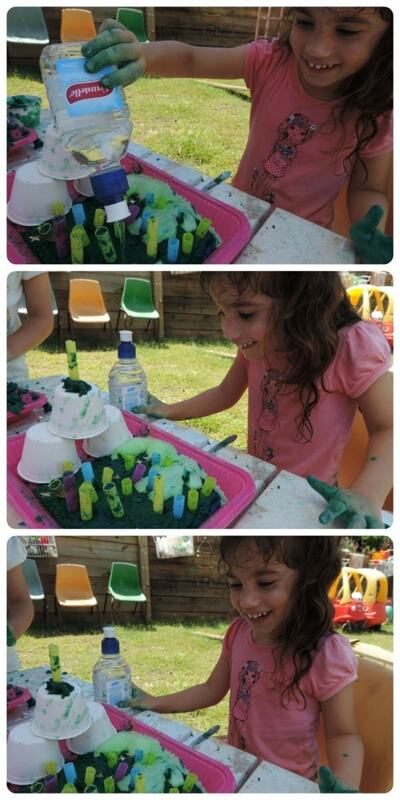 Now she helps me to make the slime and yesterday she gave all her cars a wash in the soap slime for nearly an hour. I mention these examples because I know from the emails and messages I receive that many parents and educators find sensory play activities and experiences to ‘messy’ or they give up when their child shows a reaction similar to the ones Ruby displayed above when younger “She just doesn’t like mess, no point getting it out” I often wonder what Ruby still might not touch today if she hadn’t been offered the opportunities to keep working on these skills through sensory play . If I had kept repeating that sentence instead of pushing it aside. 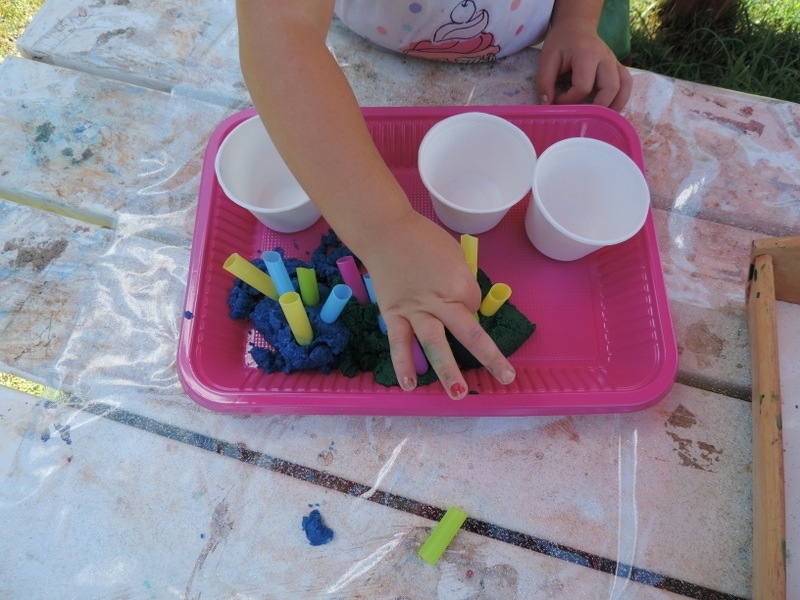 It can be a slow process but by constantly offering new and fun sensory experiences, allowing sensitive children to watch others exploring the medium and enjoying it and also by providing tools to help them start touching the materials ‘safely’ at first without using their own hands you will begin to see tentative smiles, then excitement, then joy as they finally touch and enjoy. How do I know this? 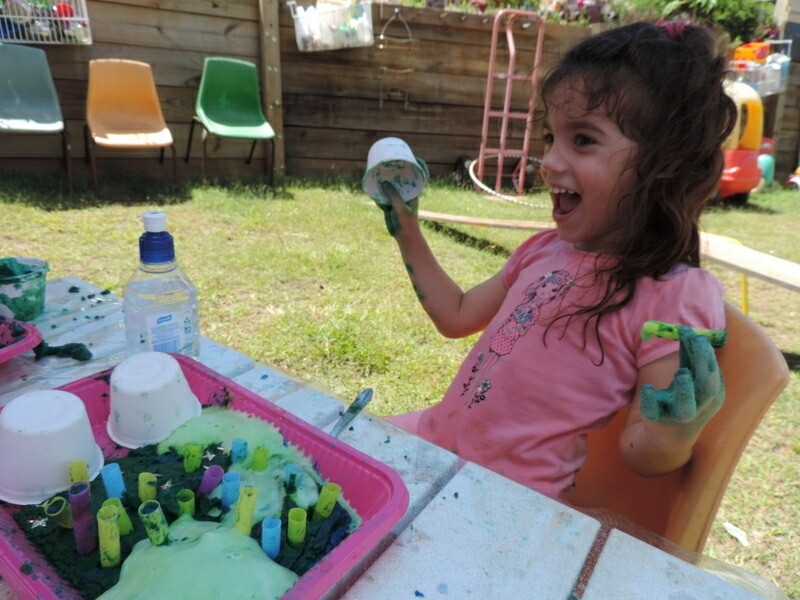 Look at the photos of my Ruby below…look at her green hands, the mess in front of her and then look at her eyes and the wonder and joy she is displaying. It has taken a few years of hard work but I’m so very glad I started when I did…it makes me teary whenever I look at these photos for she has come such a long way! 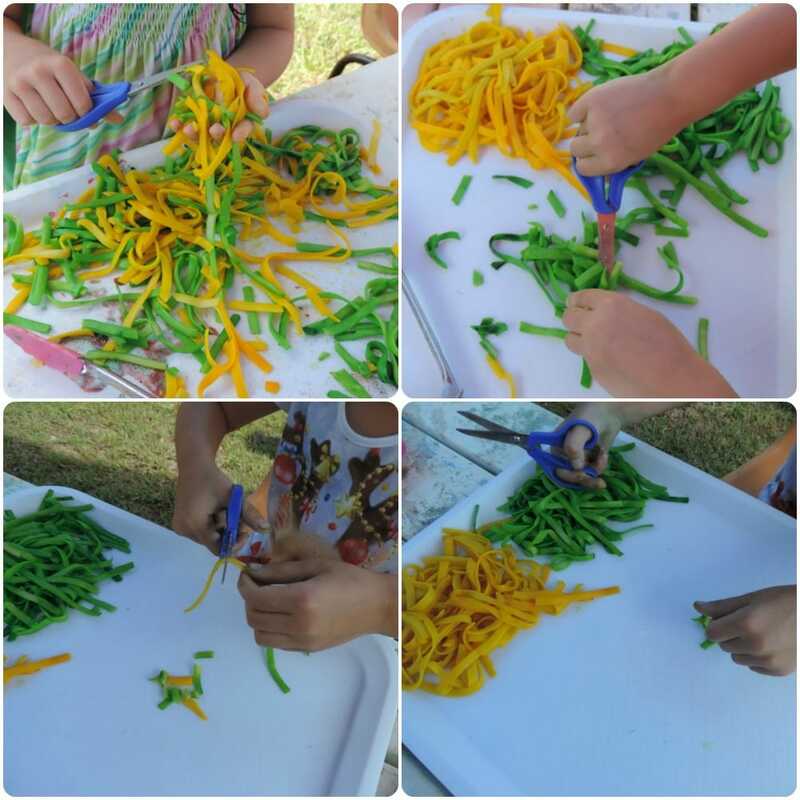 The other fantastic thing about sensory play is that it doesn’t need to be expensive or labour intensive to set up and organise. 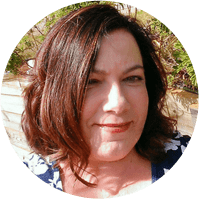 Regular readers will know how much I love a fun budget friendly activity and that’s why I enjoy sharing my ideas with you. Play for and with children should not be something that is expensive or to much work…it should be fun for both of you! 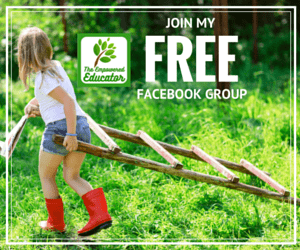 I love to see how other parents and educators passionate about sensory experiences for children play so I visit many blogs and facebook pages collecting inspiration and ideas as I go. When I found the Fun at Home with Kids blog a few years ago I knew I had stumbled across something special. 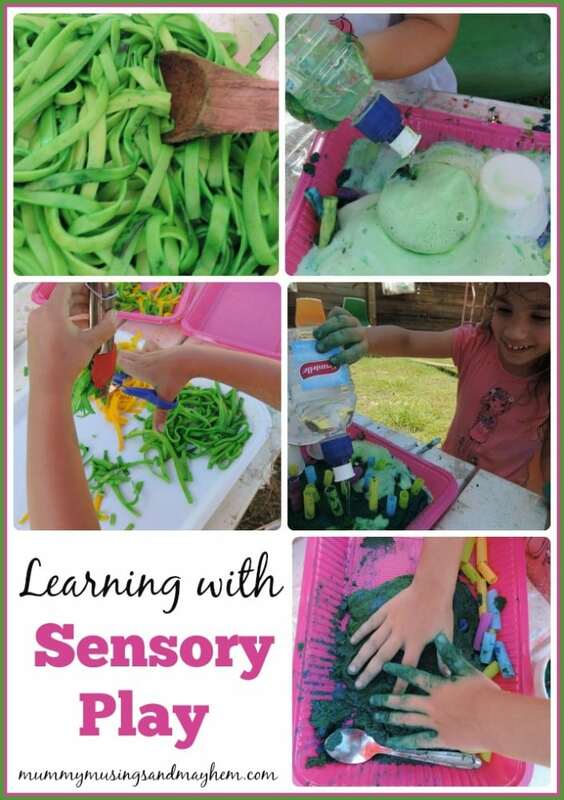 So many fabulous sensory ideas and budget friendly or recycling activities and they are always so easy to do! 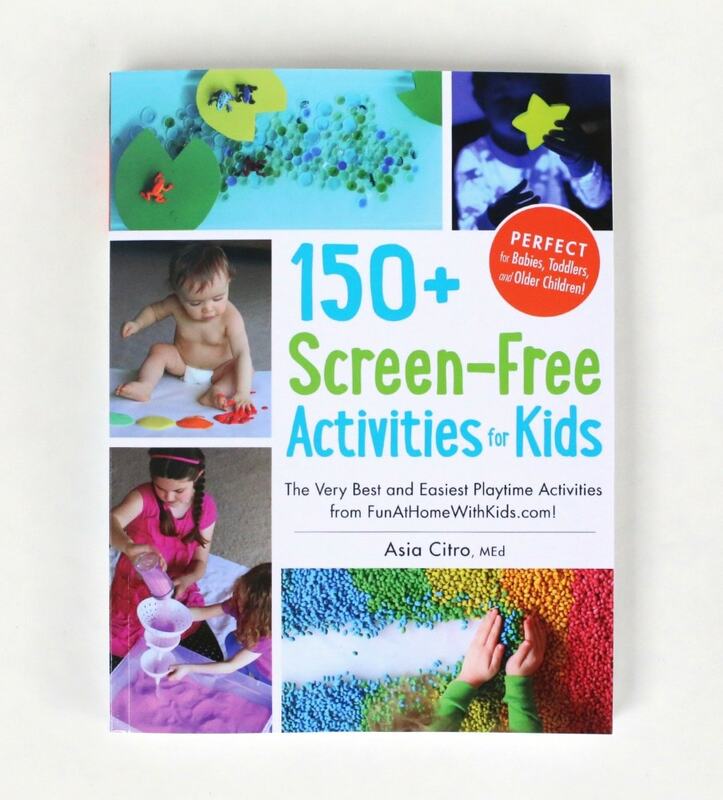 When Asia Citro, the author and creator of Fun at Home With Kids asked me to review her new book 150+ Screen-Free Activities for Kids I couldn’t wait for it to arrive. It’s not often I buy activity books anymore as I am often disappointed with lots of text or pictures or the need for to many materials or time intensive setups. But here is a book not only with beautiful clear photos of each activity but easy instructions and helpful tips if you feel it didn’t turn out ‘quite right’. Here is a book I can actually recommend to others! I’m often surprised at how many craft materials for educators and parents are on the shelves to buy now.I think it would be a shame if we lost the simple joy of providing inexpensive yet creative play resources for children. 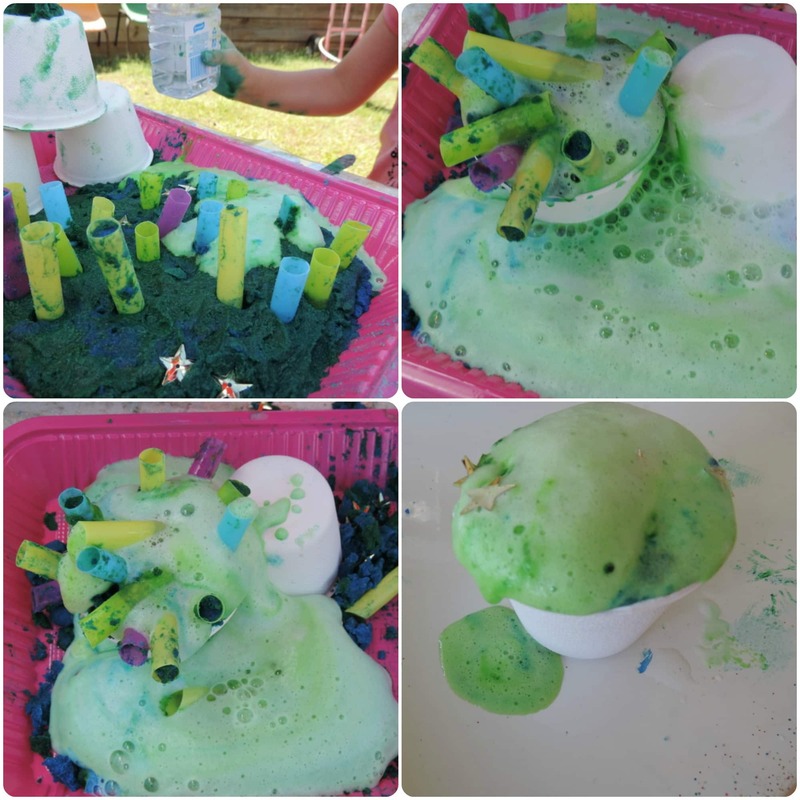 If you have never had a try of making your own playdough, paints, slimes, small worlds or sensory activities and materials you are missing out! It might seem overwhelming or like to much hard work…but that is where activity books like this one are just so helpful. Asia has made sure this book is easy to read, the pictures actually help to illustrate each activity rather than just being pretty (which they also are!) and each activity lists allergy or sensitivity information (handy to know if you have little tasters! ), possible variations and a recommended age range. The hard work is done for you I promise! 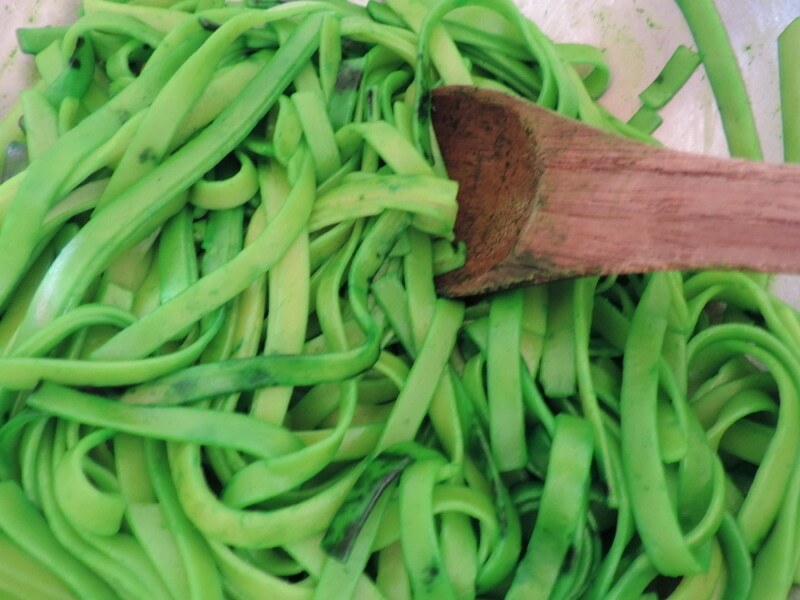 A few basic kitchen staples combine together in so many different ways (seriously, Asia has a background in science teaching so her concoctions are pretty cool!) and best of all they are easy for you to make too. 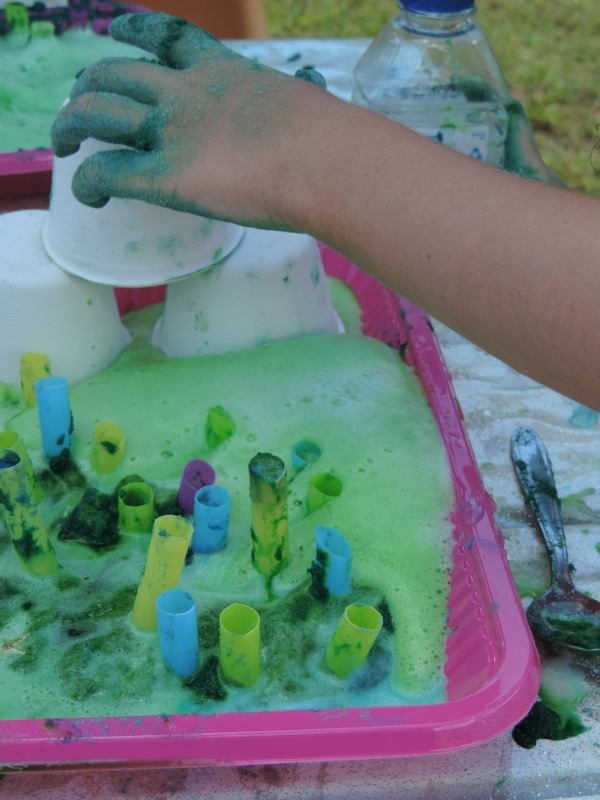 These sort of activities open up so many paths for learning and sensory exploration and I’m pretty sure you will actually have just as much fun as the kids…there won’t be a screen in sight! They are just perfect for sensory seekers or if you have a child that is hesitant to touch new or certain textures like my Ruby. There is loads of information for introducing bubs to suitable sensory experiences and getting the fun started from an early age. You’ll find over 72 activities perfect for babies! The majority of activities are suitable for multi age/sibling play so perfect for home day care educators and parents like me. Have a quick look at this little video and you will get an idea of why I am so pleased to review this book for my readers. 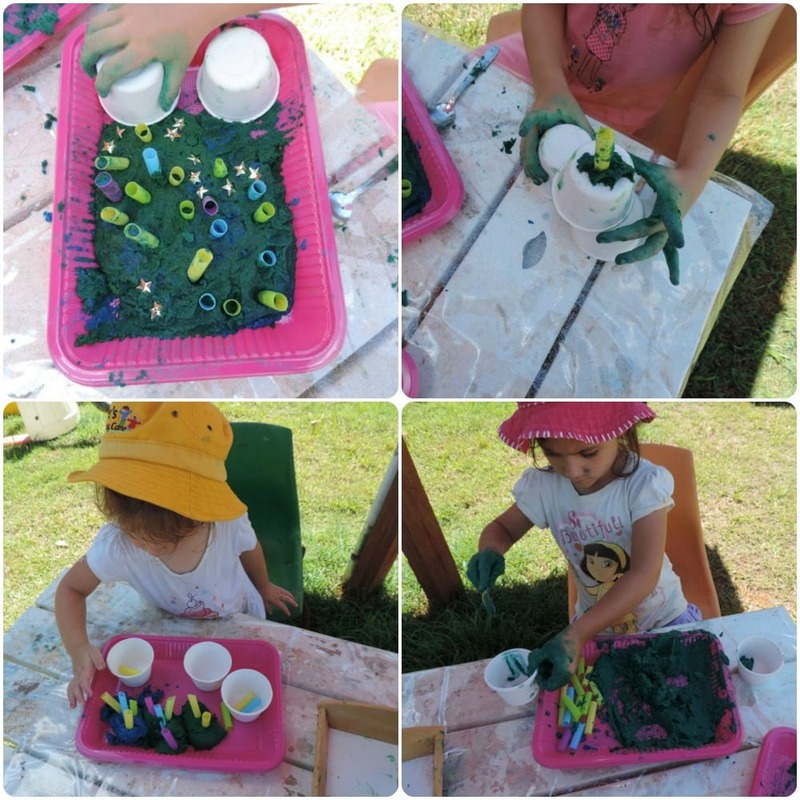 I really do love any resource that can encourage educators and parents to get excited about providing messy play experiences and also making their own resources and toys to use over and over again. 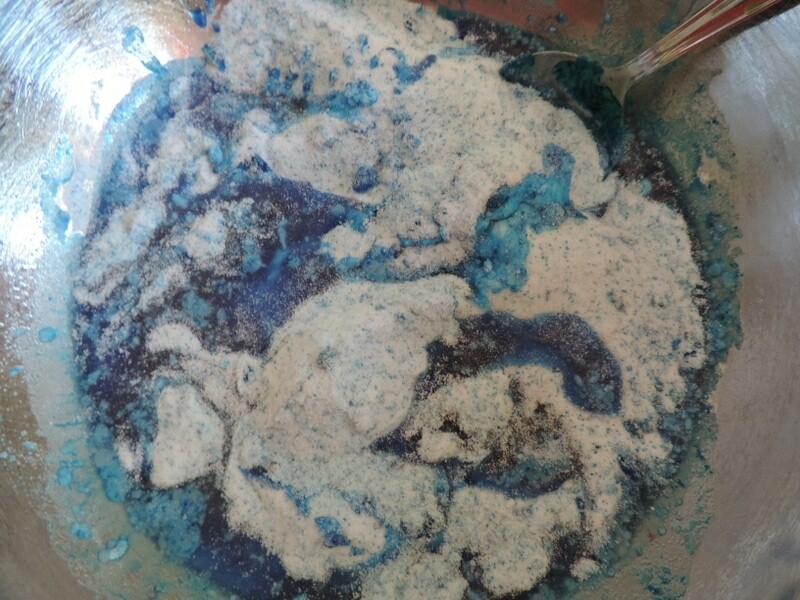 It was easy to mix the few ingredients required together and the children loved adding a little colour. They chose blue and green today. 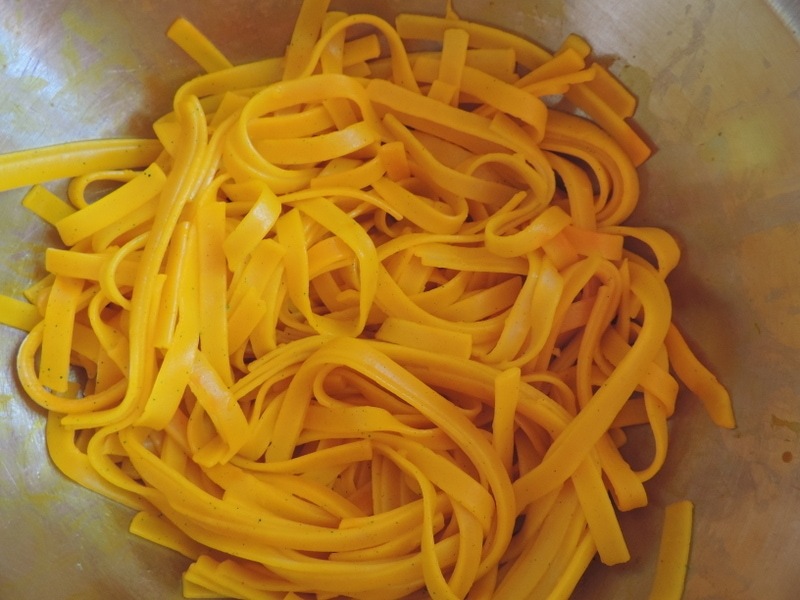 It came together quickly into a soft mouldable dough….but was so different to the usual playdough we use. I gave the children a tray each, some dough and a few little bowls and cut straws as there has been a lot of Birthday cake making here lately and they asked to make their own cakes with the dough! They all created in different ways, Miss 3 is still hesitant about some textures so she began using the straws in her dough first so she didn’t need to touch it. Ruby decided to make one large cake to decorate and also made a centerpiece! 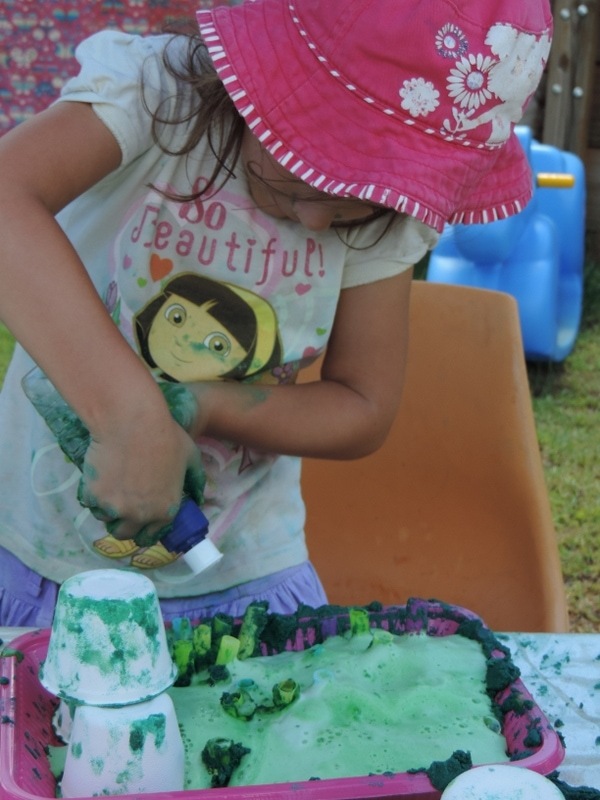 Tara loves sensory play and straight away began using her hands to squish, mould and scoop the dough. 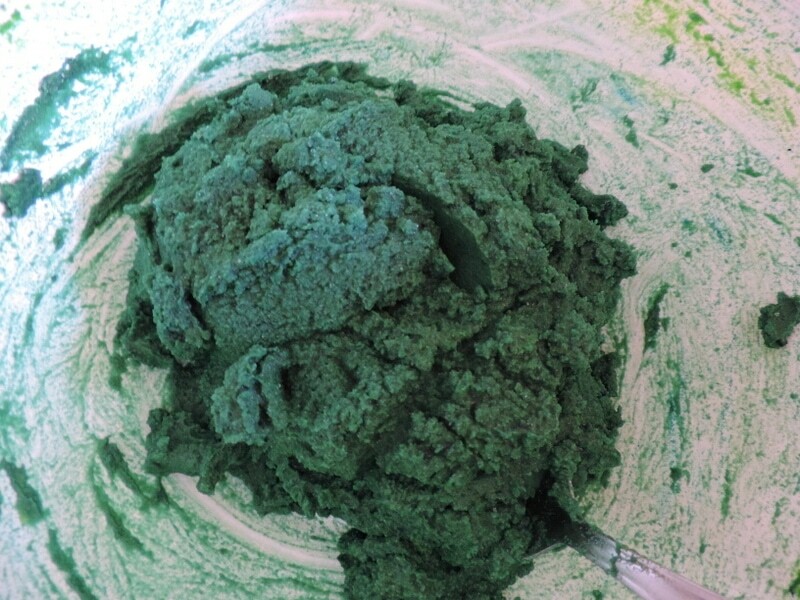 She loved the colour on her hands and enjoyed telling me she was mixing blue and green together. Ruby decided she could make handprints in the dough…splat! 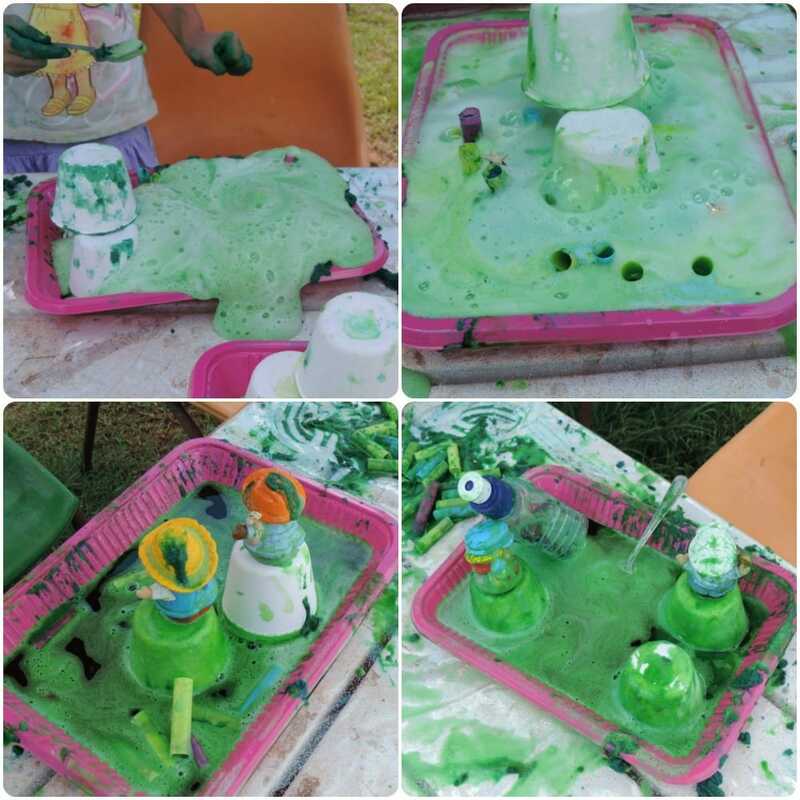 Then I handed out bottles with something magic inside and the children were so excited to see what happened when they poured the liquid onto their creations! Amazing, foamy, bubbly, cold creations. Don’t you just love science and the reaction of children as they see it for the first time? Let me tell you this kept them busy for AGES! 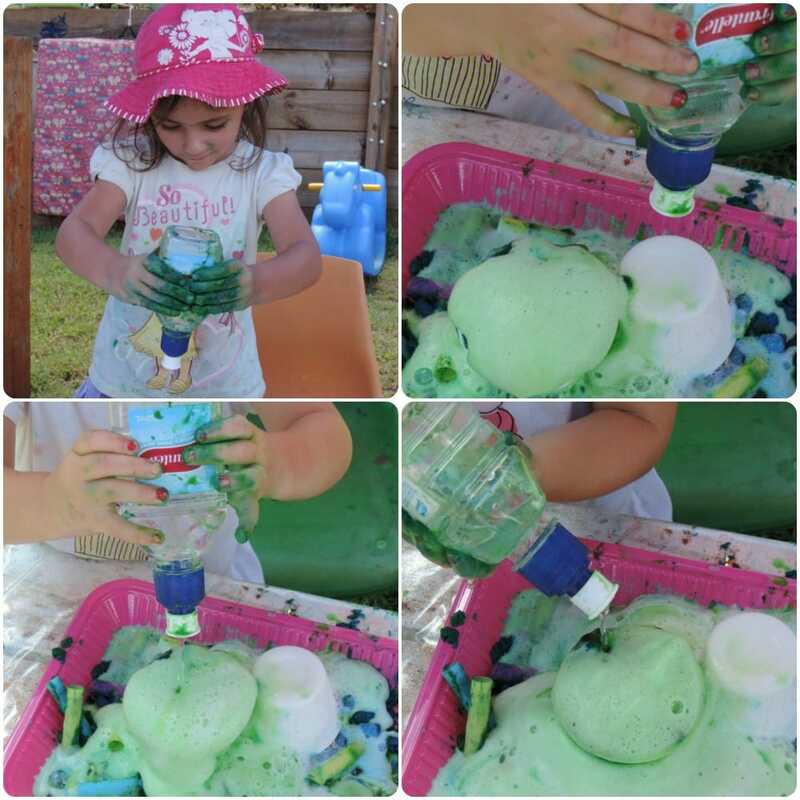 Suddenly Miss 3 couldn’t help but touch the foam and bubbles and then she was hooked, check out those green hands! How special are these cake creations? 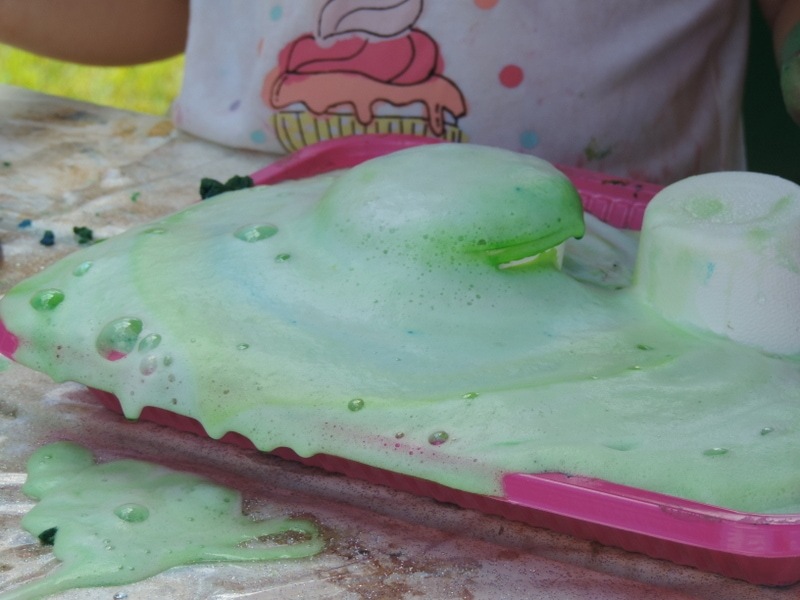 They found that by scooping up dough from the bottom of the tray and mixing it into the liquid already in their tray they could extend the foaming and fun. Problem solving at its best. And when they just couldn’t get any more foam to occur the trays became a swimming pool for the little people…imaginations are never far away in sensory play! 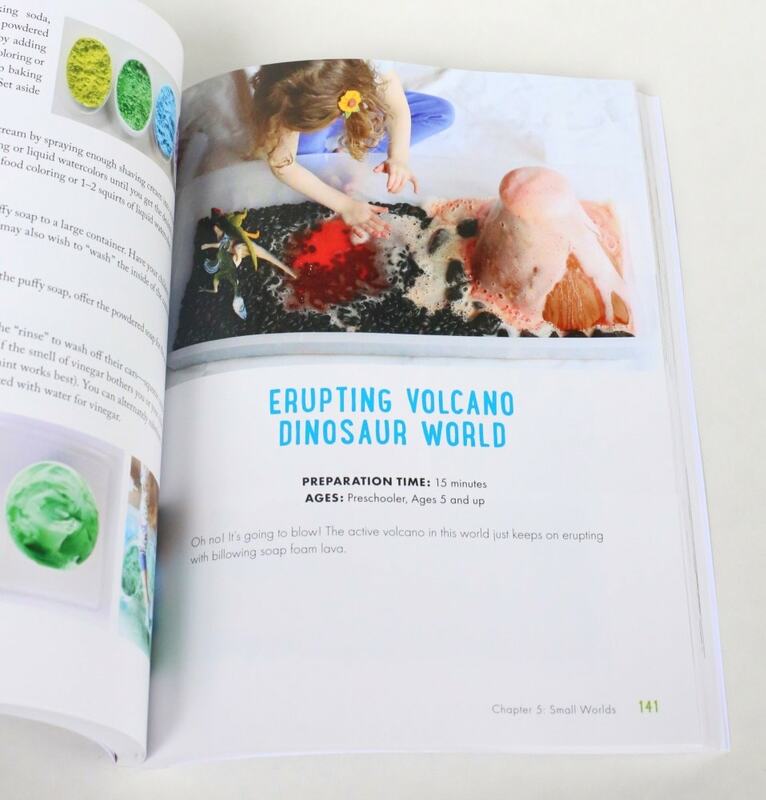 I think next time we will try this erupting volcano dinosaur world….doesn’t it look like fun? 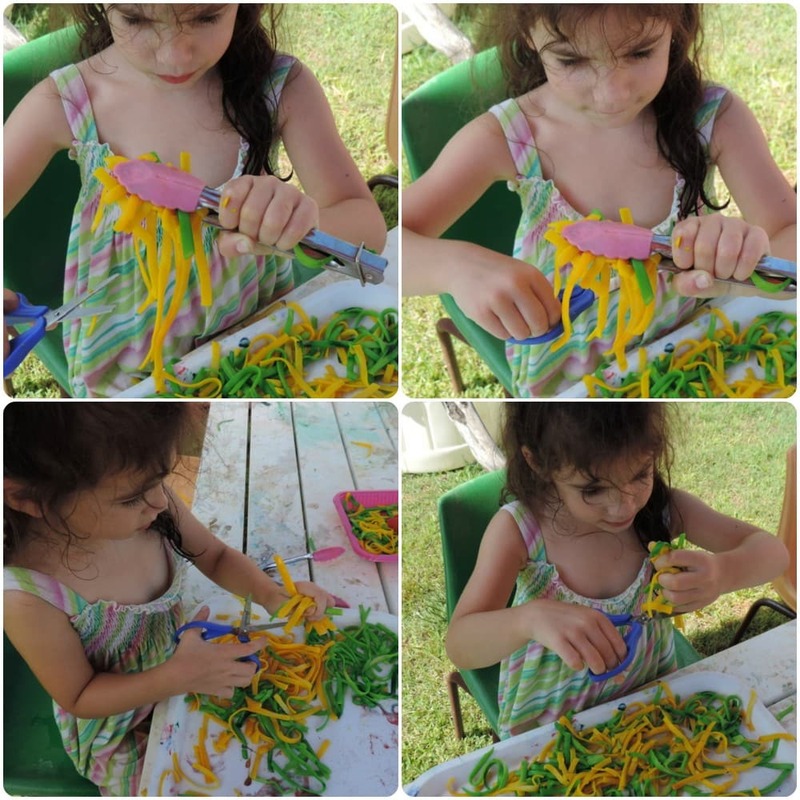 The girls also enjoyed another activity from the book – practising their cutting skills with some coloured pasta…quite the challenge and yet also so much fun! Doesn’t everything look a little more exciting and inviting when colourful? 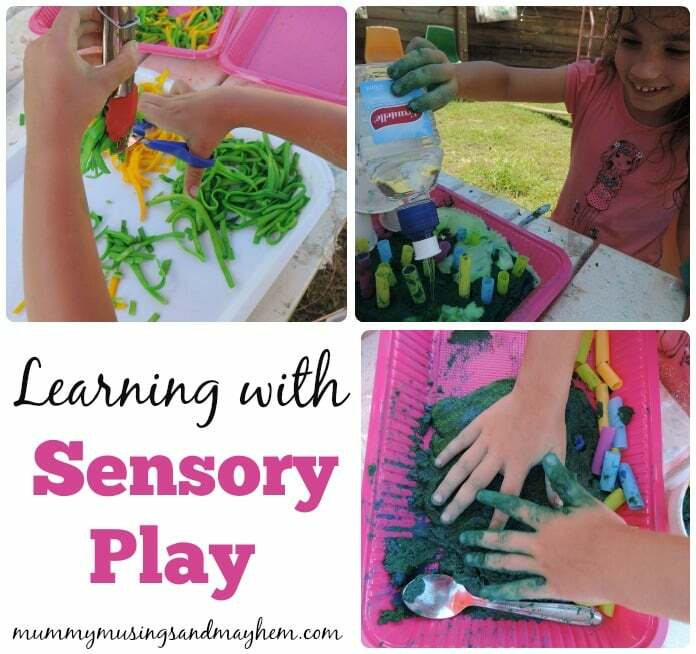 Sensory play really is just so much fun and has so many rewards. 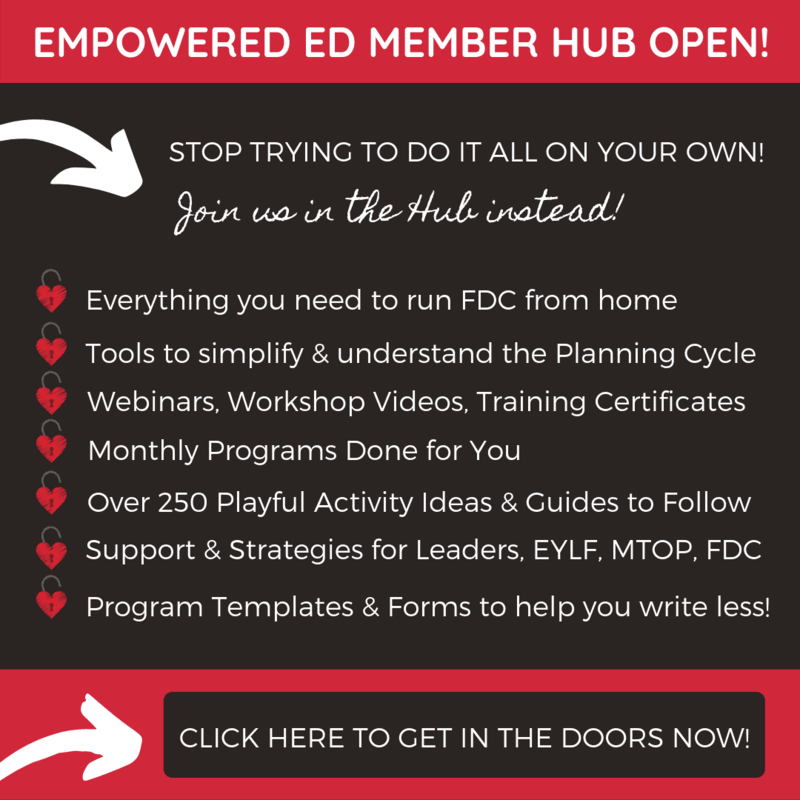 Have I convinced you but you are still not sure where to start? 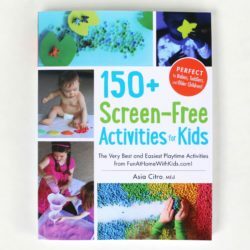 I have loads of ideas you can try here on my blog and I highly recommend you get yourself a copy of 150+ Screen Free Activities for Kids. 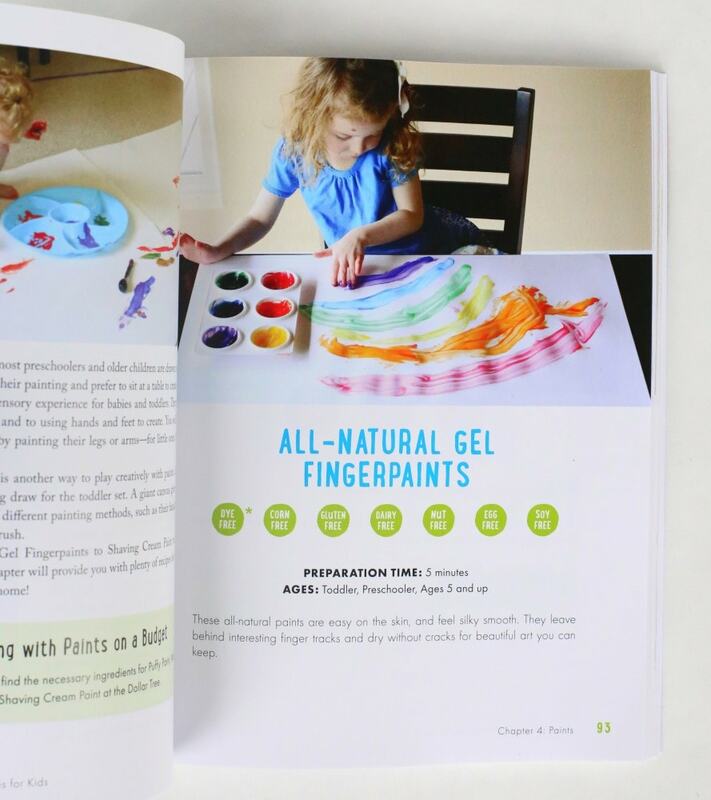 Even if sensory play isn’t your thing this book will still provide you with so many fun ideas to help develop your child’s creativity and skills. 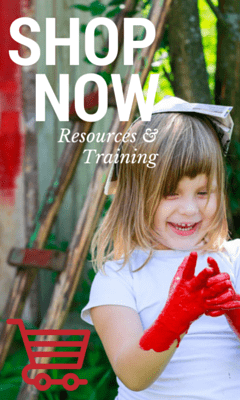 You can try the many play recipes, explore some fun outdoors or even flick through the chapter dedicated to ideas for making your own toys – you know how much I like sustainable practice and recycling for fun! I know you want a copy… lucky it’s available world wide! Aussie readers I recommend checking out the Book Depository as I find it the best value for money with free postage to our little corner of the world which is rare! That looks like SUCH fabulous fun. It was Kate! Couldn’t resist having a go myself either! Wow, what a change in Ruby with all that sensory play. I have one child who has always adored it and one child who would prefer not to “get too messy today”, as she tells me when I try to talk her into some painting. We love that book too! Great photos Jode! How much fun are they having! Fun At Home With Kids is one of our favourite blogs too and her book does not disappoint! We made her puffy snow recipe recently – so much fun! I want to make that next Nichole, everything in that book looks like so much fun I just want to try them all haha. They absolutely loved this activity, made my day watching them! Asia’s book looks simply awesome and I totally agree with you, sensory play is so important to development. I wish I could somehow give a copy of it to every single family of young children in the whole world! 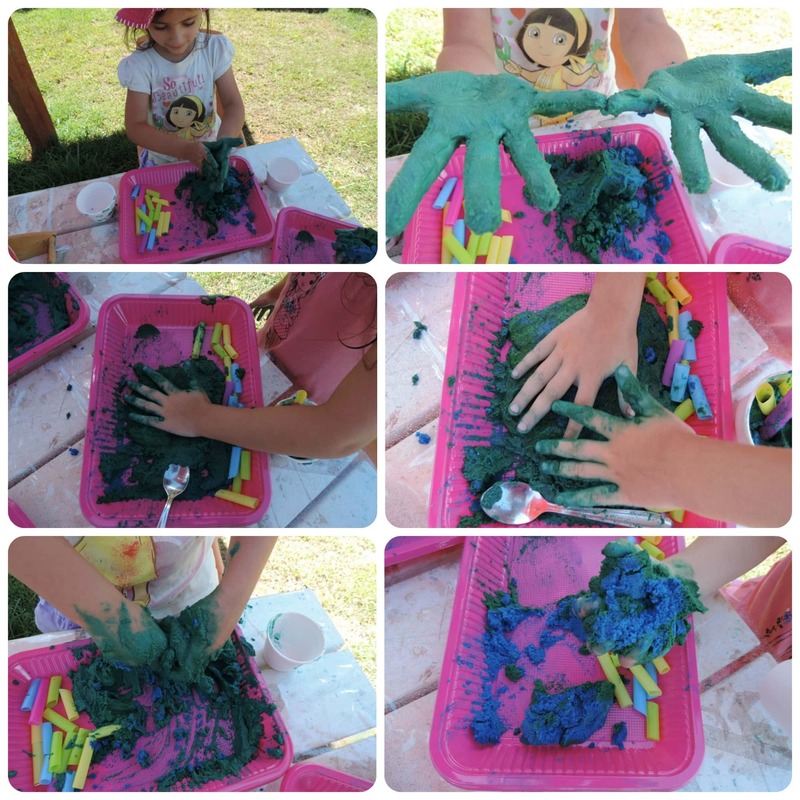 Oh me too Christie…sensory play is such a simple thing to offer yet seems to scare so many! Love your site, and love your posts. I’d love to see one about sensory gardening and if you’ve been able to incorporate that in to your home. Thanks so much for your feedback Sara…will see what i can do, we love to garden here!